I hope everyone is getting off to a great start in 2017! Tell me are any of you resolution setters??? I will tell you right away that I AM NOT!!! I have tried sooooo hard to in the past but I always fail within the first week!! So, I am not going to be posting a super mega healthy recipe cuz it’s just not how I roll. 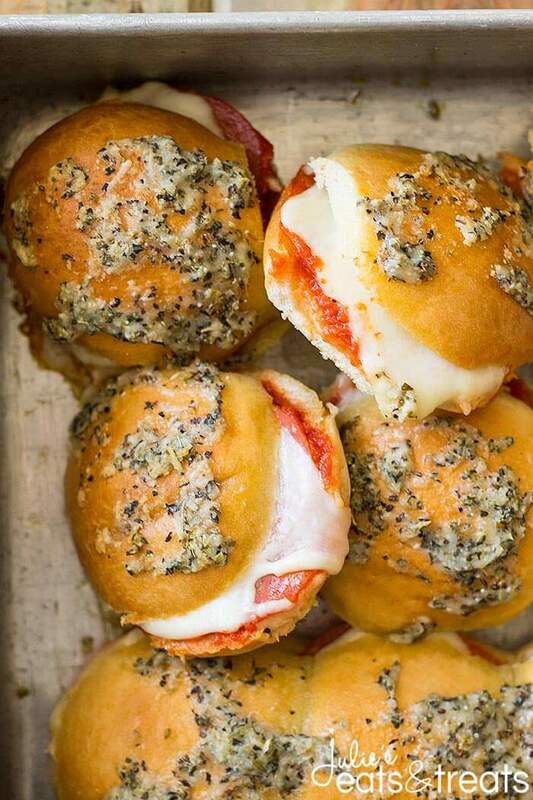 Maybe my goal should be to make these Pepperoni Pizza Sliders every single week of the year! Now that my friends is a realistic goal for me. 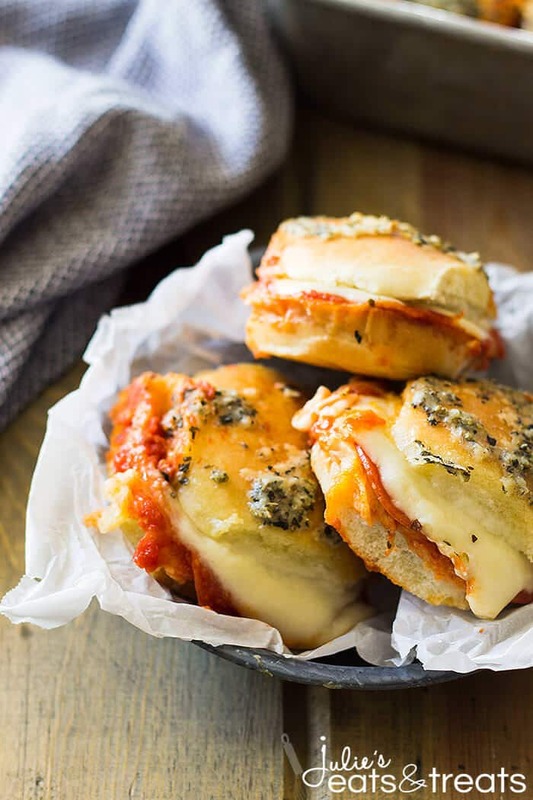 Toasty buns, stuffed with gooey cheese, pepperoni and sauce then smothered with a butter sauce. Hellllloooooo amazingness! We do try to eat on the healthier side as in a balanced approach and not excluding an entire food group just because we want too. I am all about everything in moderation! 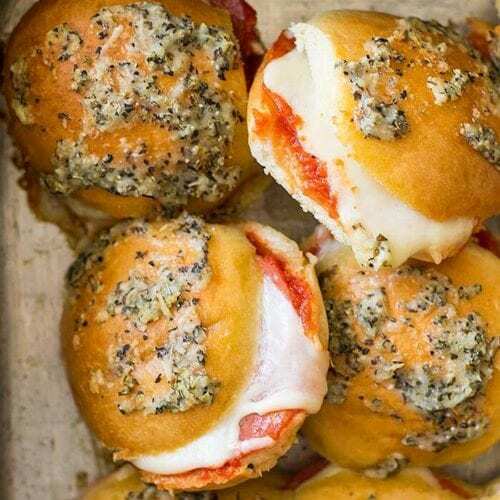 Unless of course we are talking about these pepperoni pizza sliders then it all goes out the window! I have never understood why slider recipes say they will serve 12 because that didn’t happen in my house and never has. 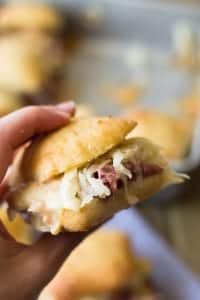 My kids devoured this pan and wanted more and they said those were the best sandwiches they have ever had! Well, mom goals accomplished in my opinion! 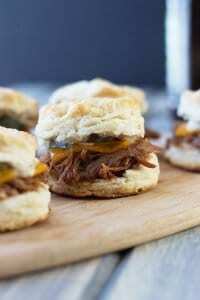 I don’t mind making this sliders recipe. They are extremely easy to make! Just start with some slider rolls or Hawaiian rolls would also work. What are the BEST Sliders Buns? Hawaiian Rolls – sweet and delicious! Sliders Buns – the perfect size! Potato Rolls – light and pillowy! 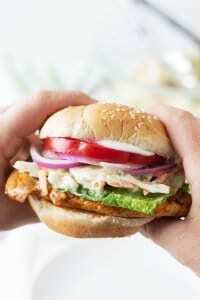 Use your favorite bun or roll, you really can’t go wrong here! Slather the buns with your favorite pizza or pasta sauce then it’s time to top with the good stuff. Pepperoni and fresh mozzarella. I went with fresh for the ultimate stretchy cheese factor and trust me it won’t disappoint! Just look at that melty, gooey cheese!!! Now just place your tops back on and create that wonderful drizzle that goes on top of any slider. This particular drizzle has Parmesan cheese (because there is nothing wrong with more cheese, am I right?!) garlic powder, oregano and basil. 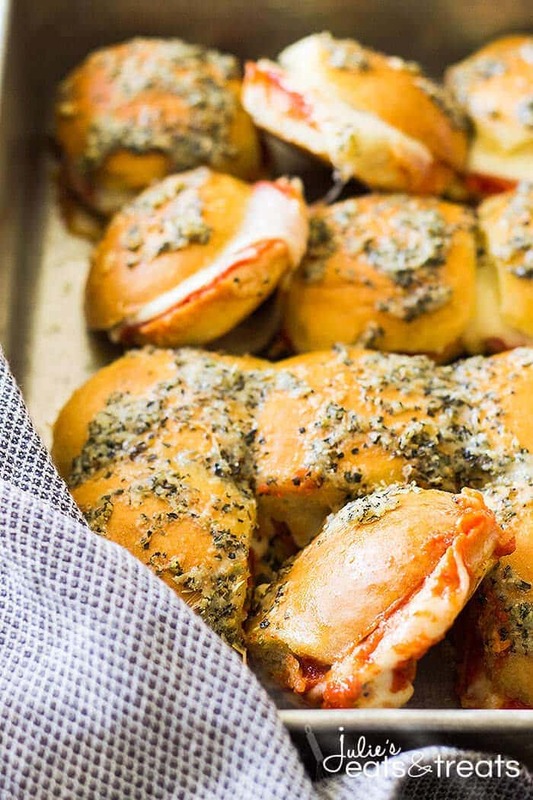 Spread this across the tops of the rolls before baking and this adds an explosion of flavor! Grease the bottom of the baking pan. Cut the sliders or buns in half and set the tops aside. Place the bottom half of the rolls in prepared pan and spread with pasta sauce. Slice the fresh mozzarella and place a slice on each roll. Place top half of rolls back on top. Mix the remaining ingredients to make the sauce, spread over the tops of the rolls. Cover with foil and bake. Serve immediately! 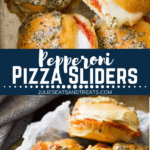 These pepperoni sliders would be great for any night of the week but I am thinking they would be especially great for game night! Watch me make them below and see just how easy they are! More great game night eats? Absolutely! 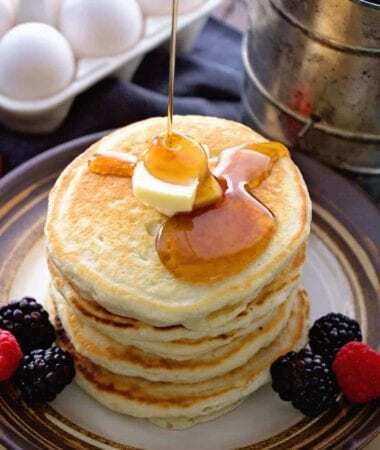 Check out these terrific bites! In a small bowl combine the Parmesan, melted butter, garlic powder, basil and oregano. Spread over the tops of the rolls. Cover with foil and bake for 25 minutes. Remove foil and bake for an additional 5 minutes. Serve immediately. Oh man, these sliders have me drooling. 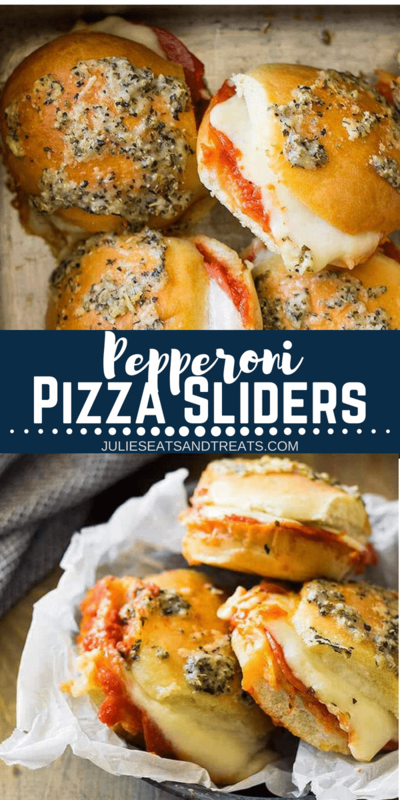 They look absolutely amazing and so perfect for a game day meal!